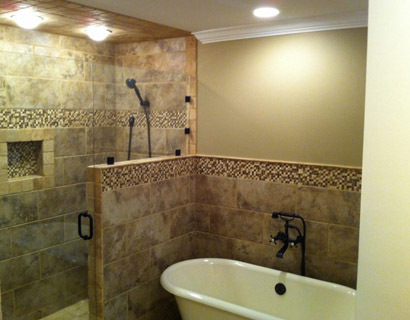 RTS Construction of Birmingham are leaders when it comes to bathroom remodeling. We understand the importance of executing your design to your standards, and you can depend on us to go above and beyond to ensure that your bathroom remodeling project turns out beautiful. We will work closely with you every step of the way, from the design of the layout, to the selection of colors, flooring, cabinets, countertops and more. We use only the finest materials and brands to ensure that your bathroom is built to the highest standards. You can depend on RTS to provide you with a great value for your investment, and you can rest assured you will feel comfortable having us in your home creating your dream bathroom. Let us make your bathroom remodel a complete success for you.